What electric car has the longest range? What is the cheapest electric car to buy? Will electric cars last longer? Electric cars come in all shapes and sizes, from the smallest, smartest city car to the biggest, strongest SUV. The fastest car on the road was unveiled at the 2019 Geneva Motor Show, the PininFarina Battista and it’s electric! So, it’s no longer a case of “I would buy electric but they don’t make the sort of car I want”, it’s now a case of “I’d like a Porsche or an Audi…and yes, it can be electric”. There is quite a range when it comes to the price of a fully-electric car. There are the entry level models and then there are the super-luxury models that will set you back over £100,000. If you’re looking for a city car that’s for nothing but driving; a car that has no heating and only the bare bones when it comes to equipment then the Renault Twizy Coupe could be perfect for you. The most basic model doesn’t even come with doors, but for an extra £545 you can arrange to have them fitted. This might be the ideal car if you live somewhere that has minimal rain, or if you just want to pop to the shops, but otherwise it’s a rather costly scooter with a starting price of £6,840. Of course, if you want a more practical car, whether for a small family or for the daily commute it’s probable you’ll want doors and heating as standard. That’s where a car like the Citroen C-Zero or Peugeot iOn comes in. Both of these city cars are hatchbacks, with room for 4 and enough space in the boot for two medium-sized suitcases or a small weekly grocery shop. Both of these cars cost under £17,000. It’s probable that when you think about an electric vehicle your mind immediately goes to one of the most recognisable electric cars on the road, the Smart car. When they were originally released as small perfect for busy streets with limited parking they were petrol, but they now have cheap-to-run electric versions, in the form of the fortwo and the forfour. These cars are affordable, with entry-level models costing just under £21,000. It seems that the higher you go in price, the more range you get. 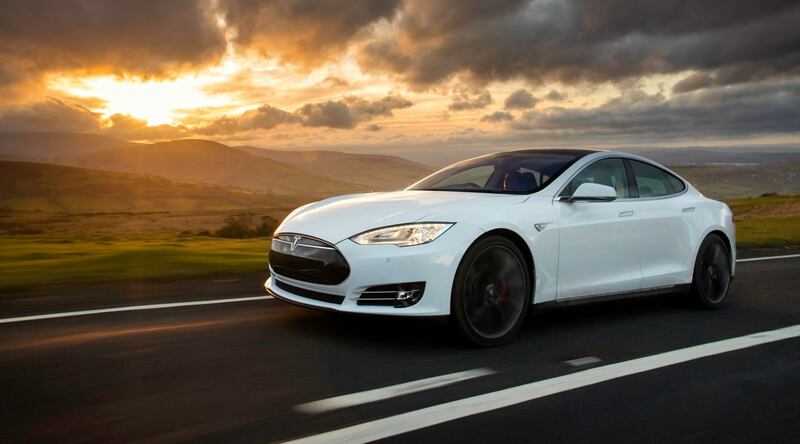 The Tesla Model S, which costs between £70,000 and £134,000, can go almost 400 miles on a single charge. That’s the equivalent of three return journeys from London to Brighton! This will likely change in the future as more cars are developed and released with bigger and better batteries that have more power and a longer range. However, as it stands the Tesla can travel the furthest distance between charges. There are some rare cars out there that have a slow rate of depreciation; cars like the Porsche Macan or the Range Rover Velar. However, unfortunately, the majority of electric cars don’t fit into this particular category. It is possible that the life of the battery in an electric car has a lot to do with why they depreciate as they do, but at present there is no research to back this particular theory up. What we do know is that some electric cars depreciate at a higher rate than their petrol and diesel equivalents. 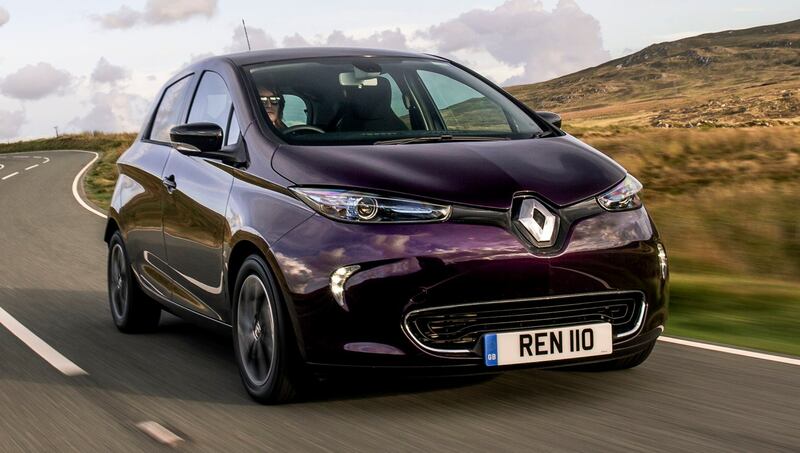 The perfect example of high depreciation in an electric car is the Renault Zoe. Over three years a Renault Zoe, purchased new for a total price of £15,498 (after the payment of a £3,500 UK Government grant) in 2015, lost a total of 60% of its value. When it was evaluated for sale in 2018 it had just £6,190 resale value. Insurance website Insurethegap did some detailed research in 2018, looking into the depreciation of various models over three years. While the Renault Zoe had the highest rate of depreciation in the list of 10 electric cars surveyed, more surprising was the 55% depreciation experienced by the ever-popular Nissan Leaf. This stalwart with a starting value of £23,335 (excluding the £3,500 Government grant) had a resale value of £10,350 after three years. This shows a drop of 55%. If you’re looking for an electric car that won’t drop so dramatically in value after three years then the BMW i3 and Tesla Model S are on par with the petrol-run Mercedes C-Class and MINI Cooper. The BMW i3, in 2015, had a purchase value of £26,560 (again excluding the £3,500 grant) and in 2018 had a resale value of £17,200. This means that the depreciation for the BMW was just 35%, 25% lower than the Renault. The Tesla Model S performed even better, though the starting price was much higher at £55,880 in 2015. By 2018, the same 2015 Tesla was worth £38,000, showing depreciation of 32%, nearly half of the depreciation experienced by the lower-priced Renault Zoe. Due to their design, and the fact that they don’t have an engine with 1000s of components, electric cars are made to last longer. As with anything electrical, from the remote control to your mobile phone, batteries occasionally need to be replaced, though the current prediction is that that a battery will last for at least 10 years before it requires replacing. The battery is, of course, the most expensive part of the electric car both to produce and to purchase. Cars are built to last, or at least the chassis is. When the only thing that really needs replacing is a battery that no longer takes a charge, the questions you need to ask as the consumer are ‘do I buy a new battery?’ or ‘do I buy a new car?’. Another thing to consider when it comes to the longevity of the electric car is advances in battery technology, something that isn’t a concern with a petrol or diesel engine where developments move much slower. The more often you charge your battery, the sooner it will need replacing. So, range is incredibly important. If you can get away with only charging your car once a week then the battery is likely to go that much longer before it needs to be replaced. Of course, on a large number of electric cars the battery has a separate warranty. This warranty ranges from five years/60,000 miles for the Renault Zoe, to eight years/100,000 miles for cars such as the Jaguar I-PACE, Nissan Leaf and the Tesla Model S and Model X. Just like a mobile phone or laptop, it is possible to replace the battery when it is no longer taking a charge. Replacement batteries are available and the price of them is dropping if the price of the battery for a Nissan Leaf is anything to go by. In 2011 the cost of a replacement battery for the Nissan Leaf was £20,000. Move forward three years and the price had dropped by 75% to £5,000. In 2018, the price dropped again, this time by 60% to £2,000. This price reduction of £18,000 over just 7 years makes it a more realistic and affordable purchase, thanks to the supply of refabricated batteries from Japan. The price of electric cars is slowly coming down. When you take into account the lower cost of ‘filling the tank’ and maintenance – thanks to there being fewer things that can go wrong there is a lower amount associated with repairs – it is definitely something worth thinking about. If you are in the market for a new car and you are looking for something with lower emissions (perhaps you live in, or commute into, the new ULEZ zone) or you drive hundreds of miles a month and spend more on fuel than you would like, then it’s definitely worth having a look at the sort of electric cars available. More cars are being released every year, and the distance they can travel before needing a charge increases with each new development. It’s definitely something worth considering.